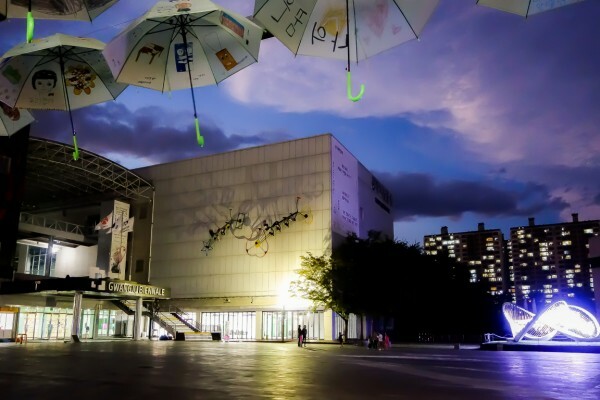 The Gwangju Biennale, founded in September 1995, is Asia’s first and most prestigious contemporary art biennale. Founded in the memory of the spirit of the 1980 Gwangju Democratization Movement civil uprising, the Gwangju Biennale presents a global perspective on contemporary art. The Gwangju Biennale and the Gwangju Design Biennale are held in alternate years. Kimchi is one of Gwangju’s most famous local products. 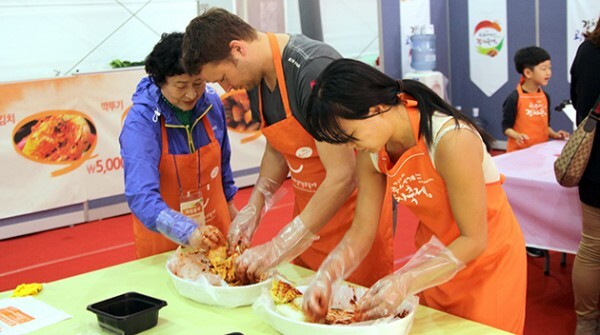 The Gwangju World Kimchi Festival promotes kimchi not simply as a food, but as a wider culture. The festival includes the chance to experience making kimchi, exhibitions, performances, and competitions featuring the nation’s best kimchi makers. 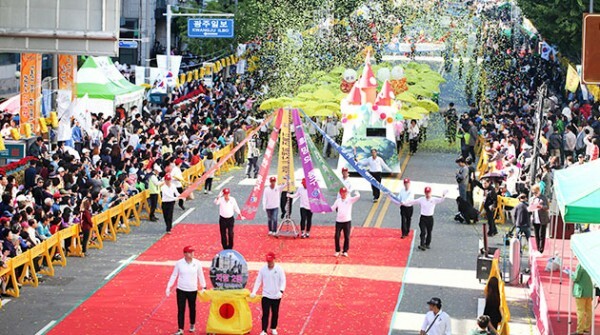 The 7080 Chungjang Recollection Festival is Gwangju’s representative street festival. 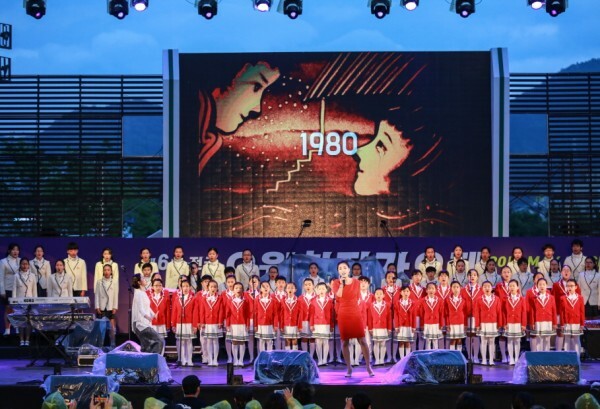 Performances, exhibitions, experiences, and regional food all center around the themes of the 1970s and 1980s, creating an air of nostalgia throughout the streets, decorated in the style that captures Gwangju’s luxurious moments of the time. 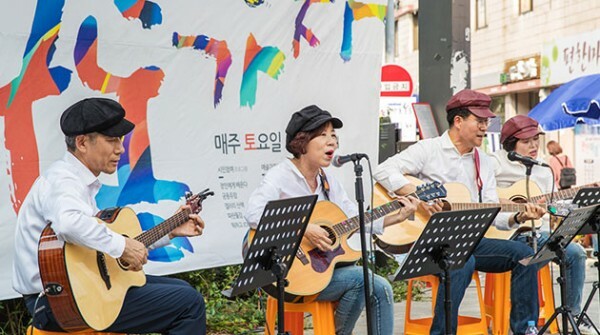 Gwangju Fringe Festival is a year-long event featuring Korean arts and installations, musical performances and various cultural experience programs. Experience the hustle and bustle of a vibrant night market at Daein Market, including traditional foods and art performances. 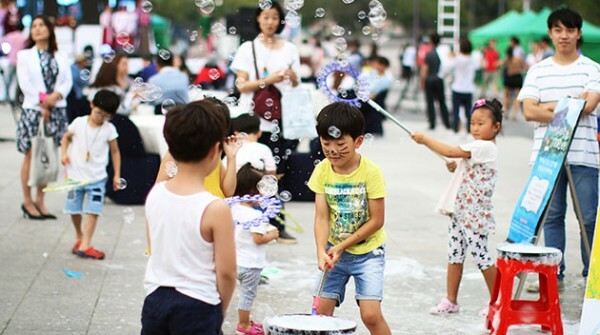 Nabiya Gung-dong Gaja is an art party happening on Art Street on Saturday. The festival features a variety of programs for citizens and children to enjoy such as puppet show, magic show, bubble show, and more. 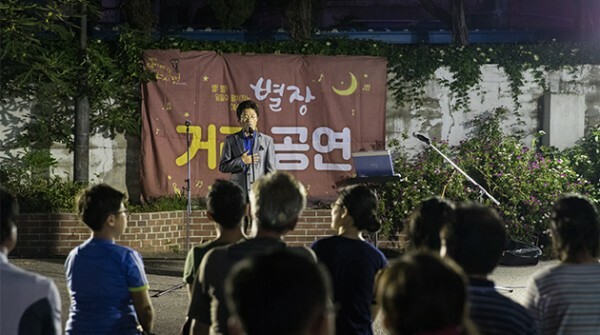 May Music Festival is presented with the theme aimed for younger rituals of Korea, including communicating with society, considering resistant minds against absurdity, freedom, and co-existing lifestyles. 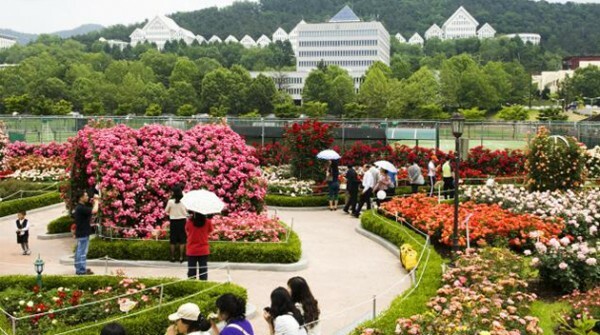 Period: Every May 7 p.m.
Chosun University Rose Garden features over 18,000 roses of 227 species in all colors and shapes. The garden is open throughout the year and is free of charge. 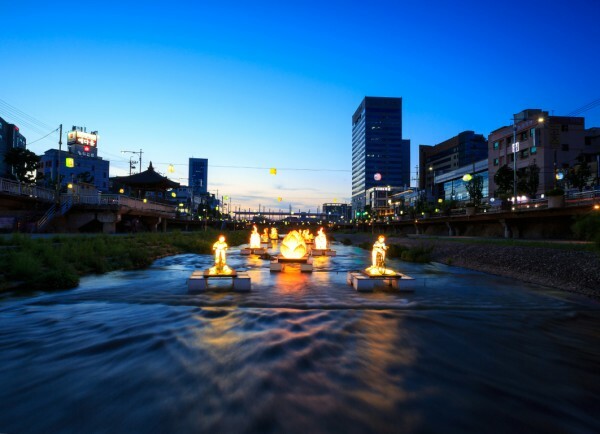 Every year, the area of Gwangju Stream lights up with a diverse range of traditional customs lantern to celebrate Buddha's birthday.